Seishin Mizu Ryu Tatakai Jutsu, SMRTJ, is a style developed by Dr Richard Catterick. A martial art by definition is a system which teaches us about war, conflict and death; however in relation to the universal laws of natural balance (sometimes related to us as yin/yan or in/yo) it also gives teaching on peace, non conflict and life as all are intrinsically linked. The Japanese term for martial art is Bu Jutsu. The term Bu Jutsu is made up of two characters – one of which can be translated as’ to stop’ and the other as ‘spear’, therefore the term Bu Jutsu means ‘to stop the spear’ e.g. to use knowledge to prevent war and hurt. One such form of Bu Jutsu was Ju Jutsu (Jui Jitsu). This was an armed method of defending oneself against armed and unarmed aggressors developed and used by Japanese feudal warriors. The tradition in which we practice today is called Seishin Mizu Ryu Tatakai Jutsu and follows many of the principles of this earlier art. The style is a form through which the significant underlying martial principles found in the ancient martial traditions of Tai Chi Chuan (Chinese origin) and Ju Jitsu (Japanese origin)are brought together, re-examined, re-evaluated and developed. These arts were found to be pivotal in the development of martial arts and are known collectively as the father and mother arts respectively. The style has an extensive unarmed syllabus which has a proven track record as an effective self defence. Traditional weapons are also main arms of the style, with students developing proficiency in the staff and sword arts as they progress towards black belt. Ground fighting and pressure points are also taught. Thus the style teaches uses of, and defence from, the whole range of punching, kicking, throwing, locking, holding and choking techniques both armed and unarmed with senior students. It also developing defences and appreciation of attacking strategies against multiple opponents. Finally not only knowledge of the physical techniques are acquired, but knowledge of psychology and physiology, which play a major part in pre and post conflict and their nature, must be dissected and understood. 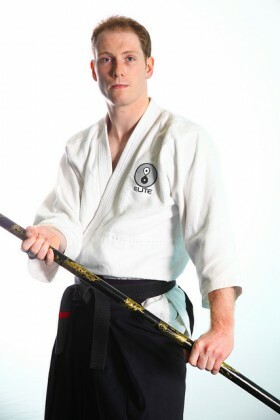 Therefore individuals are developed who have all-round martial ability. 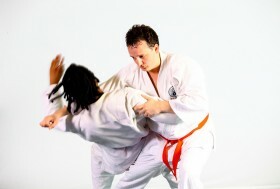 The underlying principle of the school is to have continuous flow – thus the techniques amassed can be used in ways which use aggressors’ strength against themselves, and therefore gender, age and fitness are negated in favour of good technique. Finally in training in Seishin Mizu Ryu the main benefit is the ability to defend yourself and your loved ones, but as discussed earlier, through training in these traditions we can gain certain fringe benefits. These include self confidence, good friends, a respect for others and most of all a respect for ourselves, for the arts are not about looking outside but looking within.